Ian Chee is currently the Chief Strategy Officer at MRY. Previously I lead strategy at AKQA in New York. I am very interested in the intersection of humanity, technology, and creativity. This is a simple place to find my musings about how the blending of these elements can create powerful new forms, formats and formulations. I’ve been thinking a lot about where things come from. In the past inspiration came only in the form of people and culture. Today with the world changing so fast, inspiration can come from a million different places. One space that is often ignored by business and brands is function. I break that down in this little piece of analysis. It’s a theme that I’ve been exploring for some time. This entry was posted in Creativity, Interaction, Technology and tagged Creativity, Ian Chee, innovation, technology on April 29, 2015 by iamchee. I was recently reading a blog post by Lidiya K on the topic of failure. She was kind enough to like one of my posts and as I explored her writing, she sites one of my favorite Thomas Edison quotes, “I have not failed, I’ve just found 10,000 ways that wont work.” In her post she samples many powerful ways that failure is in fact a positive. In creating new digital interactions, campaigns, products and service you cant help but fail sometimes. I have failed many times in different ways and those times though often painful helped me to achieve the greatest areas of learnings in life. When I failed as a manager, I worked harder to be a better manager. When I failed at a pitch, I worked harder to win the next one. I’m far from perfect but for me at least, times of growth often come through lows not highs. To add a slight web angle to this top it’s interesting to note that failure is almost objectively a good thing when you research it on the web. 1) The conversation around failure online is surrounded by success: I have done a social sentiment analysis on the word failure. The conversations online around failure are not conversations about defeat but conversations about progress. If you do a simple word cloud around the term, words that appear are words such as success, progress, learning. 2) Failure is a topic that people can relate to: If you do a google search trend analysis on the term failure vs. success. The topic is searched for almost 5 failures to 1 success. People are seeking out this information because they too are going through it. There is empathy on the topic and its a universal human truth that at some point you will fail. It’s relatable. 3) There is humor in it if you can open your eyes to find it: I once spoke to Ben Huh, the owner of fail blog about this topic. Why is that blog and that meme so popular I asked. Because everyone can relate. There is humor in the lows, and when you find that humor, that’s when you learn and grow. There is a reason that comedians often talk about when things go wrong. If they only gloated about success, there is less to relate to. Don’t forget that the greatest successes were wrought with failures. Walt Disney’s patent for a theme park was rejected 302 times before acceptance. Steve Jobs was at one point fired from Apple, the company he built. Oprah was seen as unfit for TV. The chairman of Sony’s first endeavor was rice cookers that couldn’t cook rice. Do you remember Virgin credit cards? In creative, innovation and design we need to use failure to our advantage. Learn from it and grow from it. This entry was posted in Creativity, Humanity, Social, Uncategorized and tagged believe, change, Creativity, edison, fail, failure, Ian Chee, Ideas, self improvement, success, successful people on March 4, 2015 by iamchee. It’s interesting how often we get into a routine and are resistant to breaking the mold. You would think that being in a creative field, change and breaking the mold would be the consistent norm. But more often than not we fall into patterns, ways of doing things, old habits. That’s why we are constantly trying new things in the work place, what’s next, how can we morph. 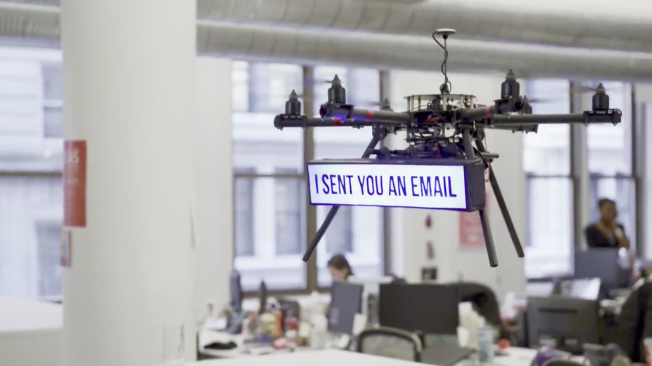 One silly example of this is our recent experience with drones. Im personally really interested in the technology, I guess we have to find now it’s practical application. Enjoy the video below. This entry was posted in Innovation, Technology and tagged about me, Creativity, Habits, Ian Chee, innovation, Internet of things, MRY on March 3, 2015 by iamchee. This entry was posted in Creativity, Innovation, Strategy and tagged Creativity, Einstein, Human Insight, Ideas, innovation, problems on December 23, 2014 by iamchee. There are a lot of things that motivate us in work. Some people are motivated by power, some by money, some by pride. One of the things that makes me happiest of all is making things that make a difference, that actually add value in peoples lives and gets our clients and teams noticed for their hard work. It’s fulfilling to make things I can show my friends, my family, that make them laugh, think or that they find useful. That motivates me. Within 3.5 hours this evening a few of the things that me and my team have been working on for the past few months all of a sudden got noticed, and it felt nice. But it was nicer the fact that it all happened within a few hours of one another. 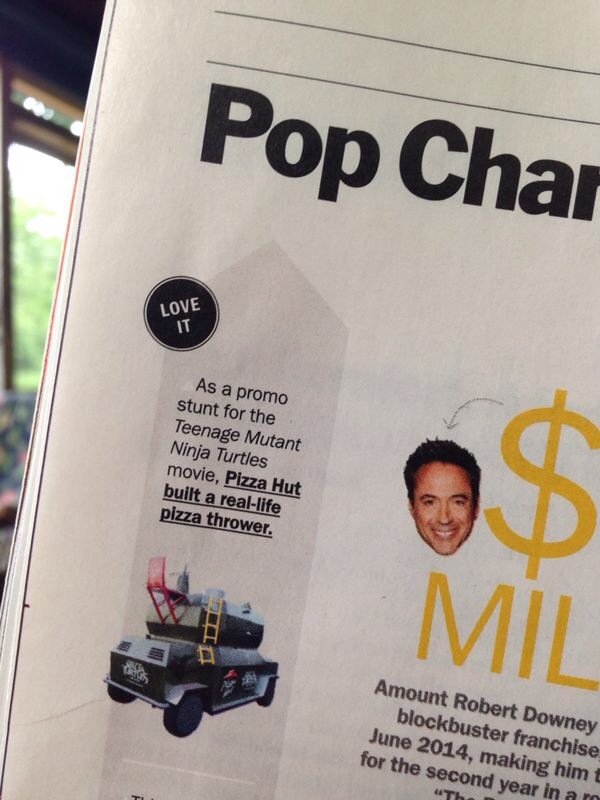 5:50 PM – My sister texts me this image – a project we did for Pizza Hut made the “Love It” list for the Time magazine print edition. Even in a world of pixels, for some reason when they print it on paper it feels a bit more substantive. At 6:30 PM a creative director I worked with and respect, posted on Facebook about a financial product that MRY recently helped incubate in house. He offered his critique. Then I noticed that it hit the top of product list. 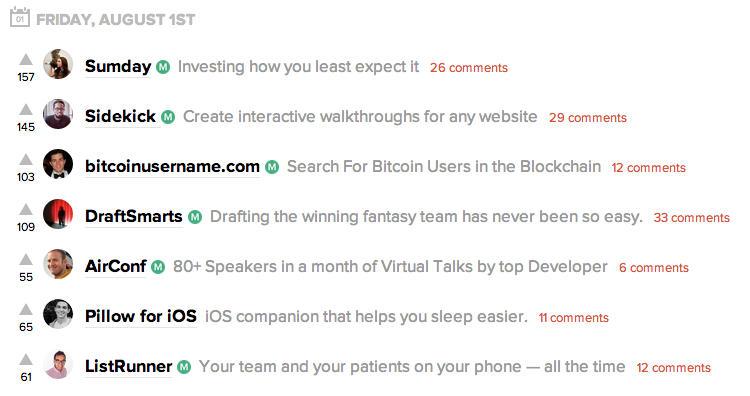 Here is a snap shot of the product ranking on producthunt.com where it reached top ranking yesterday. 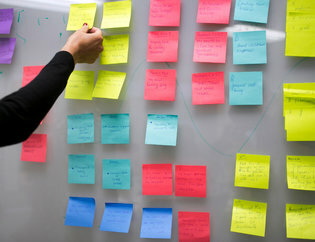 At around 9:00 PM after a few drinks with my friend Tal, I noticed a NY times article on FB from a friend who works there talking about a session and a brand idea that MRY Health had come up with and a strategy the team created. In a creative world, it’s nice that the work is gaining momentum. Onward and upward. This entry was posted in About Me, Creativity and tagged Creativity, Ian Chee, Momentum, MRY, Progress, Strategy on August 2, 2014 by iamchee. I’ve hit somewhat of a small milestone. Writing and publishing online though a paradigm that I understand professionally is not a dynamic I pursue personally. Since starting on this journey, I have not promoted this blog and have made this more of a personal and counterintuitively subtle experiment in online publishing. Today I got a nice surprise. I just got my first positive review for the writing on ClickZ.com as well as hitting the top of the list for most read. It’s a small milestone but motivates me to continue on this journey. To the 3 people who read this blog who probably include my wife and sister. Thanks. This entry was posted in About Me and tagged about me, Ian Chee, MRY on June 1, 2014 by iamchee. 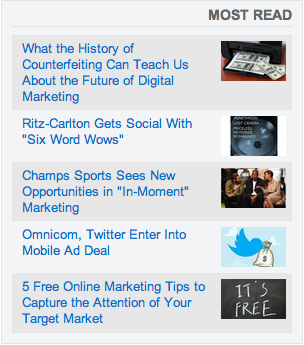 It’s great having one of the most read articles on ClickZ, a bit motivating to keep on writing. I always try to apply my personal life experience to my work experience. One can not help but be influenced by the way you grew up and what you saw as a young person. This article on is one representation of my life experiences intersecting with how I see my work life. This entry was posted in Creativity, Humanity, Technology and tagged Counterfit, Fake, Ian Chee, MRY, Strategy, Web Marketing on May 29, 2014 by iamchee.